Database Systems Corp. (DSC) is a leading provider of call center systems and software including Automated Call Distribution (ACD) solutions with skills based routing features. "Skills based routing (SBR) is a call assignment strategy used in call centers to assign incoming calls to the most suitable agent, rather than simply choosing the next available agent. Skills based call routing is an enhancement to the Automated Call Distribution (ACD) systems found most typically in call centers. The need for skills based routing has arisen as call centers have become larger and dealt with a wider variety of call types." Automatic Call Distribution is a technology that intelligently routes incoming phone calls when they are answered by a computer phone system. Standard ACD systems process incoming phone calls on a first come / first serve basis. Our ACD / IVR systems can route calls based upon caller identification, dialed number, time of day, and other customer defined criteria. Calls can also be assigned to specific agents based upon the knowledge set of these phone representatives who are divided into different skill groups. Contact DSC to learn more about our skills based routing phone systems. For a complete list of other call processing features, please visit our phone system features web page. Ankida provides phone coaching solutions to its customer utilizing our advanced call center technology and skills based routing software. 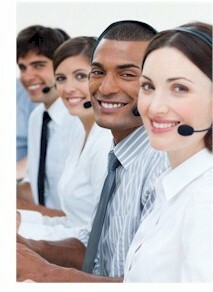 Subscribers call Ankida's 800 number which is answered by our phone system. Callers are connected to Ankida specialists based upon the needs identified by the callers. Complete database, phone and accounting services are provided by DSC. DSC offers both analog and digital computer phone systems with skills based call routing features. 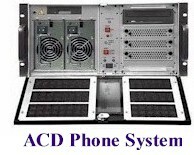 A typical ACD system processes incoming telephone calls on a first come first serve basis. The phone system answers each call and, if necessary, holds it in a queue until it can be directed to the next available answering service representative. When an agent becomes available, this representative serves the first caller in this queue. However, our ACD Software does far more than simply process calls in sequence. Our PACER (digital) and WIZARD (analog) ACD solutions maintain multiple call queues and keep logs of call group activity. These systems monitor call activity including call queues, agents, and on hold times. Depending upon user defined business rules, our ACD systems create different processing paths for different callers including routing calls to agents that have unique skills capable of helping these callers. Contact DSC to learn more about our skills based routing phone systems and services.